An anonymous user, known only by his IP, enters the English-language Wikipedia and makes some edits to the article about the Golan Heights (a geographical region of disputed sovereignty that straddles the ceasefire line between Israel and Syria). The changes are not too radical. The term “occupied”, which entails support to the Syrian position is changed to the more neutral “administered”, the politically-charged term “settlements” is replaced by “post-1967 communities”. The words “Internationally recognized as Syrian territory occupied by Israel” are toned down to “Administered by Israel, claimed by Syria, subject to UN Security Council’s resolutions 242 and 338”. 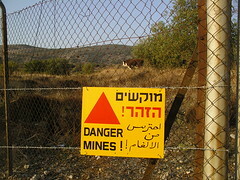 Whether or not you like the new phrasing, the edits are quite in line with Wikipedia’s policy known as “Neutral Point of View”, namely that Wikipedia does not take sides in disputes, and accurately describes the facts on the ground (the Golan Heights are under regular Israeli civil administration since 1981). The edits are naturally contested, some of them maybe rightfully. The term “post-1967 community” does sound a bit enigmatic, and perhaps settlement is the preferable term here. The user who quickly reverts the edits is “Unomi“. Unomi is an interesting figure on the Wikipedian scene. He is relatively new to the English Wikipedia (since March 2009), although he claims to have been using the nickname “Unomi” on Wikimedia projects for several years. He is very much concerned about the ambiguity of Wikipedia’s policies and lack of neutrality, and indeed most of his edits are on controversial topics. He also contributes quite a lot on Middle East-related articles and usually sides the pro-Arab line in the description of the Middle Eastern conflict. Even though “Unomi” is an eloquent mouthpiece of a certain view of the Middle-Eastern conflict, he seems to have found an equal rival. The debate between the user identified by his IP address and Unomi gets longer and longer, several users even support the anonymous user’s edits. “Nableezy” and “Supreme Deliciousness” soon come to the rescue. These two users are Wikipedia’s worst nightmare. They have no interest in free content or free access to knowledge. They sensed the reputation Wikipedia enjoys as being comprehensive and impartial source of information (well, that’s the reputation, you’ll be the judges whether or not it is justified). Both Nableezy and Supreme Deliciousness are political advocates that realized that the introduction of their political perspective into Wikipedia worths thousands of articles in blogs and newspapers. Of course Wikipedia has some mechanism to make their work hard, but they diligently learned how to manipulate the system. When all fails, they resort to blocking. Look at this dialog from RolandR’s talk page (a personal page dedicated for posting messages to a certain editor). RolandR, by the way, is a self-proclaimed anti-Zionist, so he has a common language with “Supreme Deliciousness” and “Nableezy”. 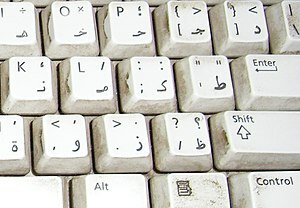 The former is an obsessive reader of Israeli sources in English, and he informs RolandR that he was mentioned in some talkback on an Israeli English-language website. Nableezy then raises the issue of how to “eliminate” the anonymous user that makes edits to the Golan Heights article. The solution is easy – alleging that he is a “sock puppet” of yours humbly (DrorK is my username on Wikipedia). 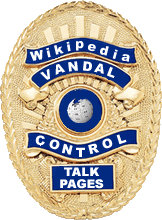 All the information given above, including the conversation from RolandR’s talk page, is available to anyone through Wikipedia and its mirror sites. 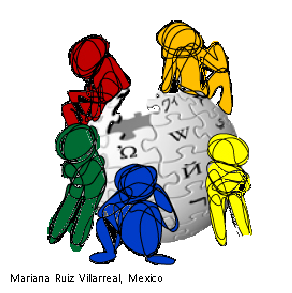 All users I have mentioned could have been great contributors to Wikipedia had they come with a genuine objective to enrich this source of knowledge. In fact, they are all very diligent and possess information and perspective that I, as well as many other people, could benefit from. However, they do not care much about enriching Wikipedia. They have a political battle to fight, and Wikipedia is just another mean to carry on this fight. Such conduct was a threat to Wikipedia from its very beginning. Right now, the project is unable to protect itself from this kind of conduct because there are many rules, but little spirit. When breaking trivial rules like avoiding more than two reverts in 24 hours becomes the most punishable offense, then it means that the basic ideas behind the project are forgotten and the door is open to all kinds of manipulators.